Remember the days when we were using plain html forms ? I still do and still use it here and there but the hard part is integrating form with a database. Html form tags should be saved as php or asp document and doing all these by yourself is not an easy task. Even if we do build a contact form by ourselves we cant outperform the functionality an ajax contact form delivers. Contact forms can be seen on every website we come across. It is the most crucial part of the website at some point. Designers are the most benefited with contact forms. Those who design free website elements and post in their website for download to the public are seeking attention. People who like the designs may want to hire the designer for future design work and so contacting him is necessary. Without a contact form people must look into whois database for the website owner and his contact address. You can see that our website doesn’t have a contact form but we do allow contacting from within the comment system and will include a beautiful contact form in the future once the website picks up. From creative to minimal designs now you can find amazing contact, feedback forms for free and also in premium version for maximum support. Everything you need in a contact form will be available in premium versions and the developers will be most willing to help you integrate it on your website. Services and sales websites are very much benefited with contact forms as they allow user to contact the webmaster before making a buying decision. Advertisers contact you through your website once you are writing interested topic in their advertising niche and getting relevant visitors. People also report bugs found while browsing the website to the webmaster if the webmaster allow feedback form on a website. If you are a developer and are looking for a demo work of other developers this is where you should look as there are live preview off the plugins which will give you an idea on how to make one form. Form builders are actually amazing easy step in creating contact forms by yourselves. You don’t even need to use a pre defined wordpress plugin as widget or as shortcode in your WordPress page, post or sidebars. Form builders will get you started by giving you the option to name the contact fields, adjust size of the boxes and overall look. Attractive forms will surely make people to type in their views and requirements as you know boring forms will really blow users away. 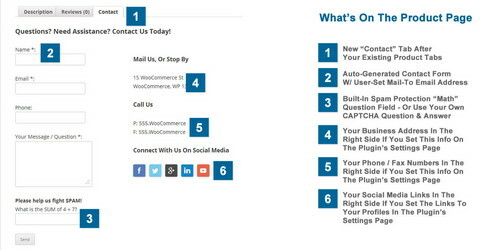 So taking this into our mind we have added some useful WordPress contact form plugins which will work wonders. This is an updated list so make sure to bookmark and revisit. The latest version of FormCraft adds more than 60 new features to the popular plugin. Latest fields include smiley, thumb and star rating, sliders, date, range etc. The AJAX-powered forms are completely responsive too. LB Advanced aims at enhancing your online forms by using images, videos, BBCode, emoticons etc. It has other useful features like code highlighting, comment subscription, liking or disliking comments etc. With a wide range of different functionalities, X Forms offers unlimited freedom to create online forms and use them in your website. The pre-formatted fields will help you in creating forms quickly. Form Generator is one of the easiest form builders for WordPress. Instant notifications will let you know about the events. The easy to use interface is very powerful and lets you brand your forms accordingly. Awarded as a top WordPress plugin by ThemesPlugincs.com, nForms is a widely used form builder plugin. The drag and drop form builder and multi-column layout will be very helpful in creating online forms. This WordPress plugin is perfect for adding AJAX-powered contact forms in your website. The plugin comes with both client and server side validation, configurable label test and custom border colors. As Ether Forms Builder is fully integrated with visual composer, it is possible to create complex layouts with this plugin. It is provided with all the necessary elements of an online form. FlexForms comes with six different color skins to choose from. The drag and drop form builder will let you create and update forms easily. The forms could be displayed with different settings. Adding professional forms is very easy with Ultimate Contact Page plugin. It is provided with Google Maps integration, shortcodes, reCAPTCHA, MailChimp, multi-lingual support, social media links and an easy to use admin panel. This is a simple, powerful solution to adding contact information in your WordPress website. The fully responsive contact form is hidden until the user clicks on the corresponding tab. The form can have 3 to 14 fields in it. Clever Feedback is clever because it not only allows you to collect user feedbacks, but also the users response about other feedbacks. The fully customizable plugin lets the users change the modal window text, primary color etc. This is a fully responsive, user-friendly contact form for creating AJAX contact forms. The powerful admin panel will allow you to configure various settings easily. The mail messages could be saved in the database. Featuring a minimalist interface, Usernoise Pro is a full-featured contact form plugin. You can choose from the multiple typography presets, edit feedback categories and lots of other things with the plugin. If you are looking for a simple, hassle-free solution for adding contact forms in your WordPress website, Quform could be an excellent choice for you. Using the plugin does not require any coding experience at all. Besides simple contact forms, this powerful plugin could also be used to create any online form, inquiries, quizzes or feedback forms. The intuitive WYSIWYG editor will let you design any form you want. Unlike other form plugins, this plugin lets you create contact forms inside a Google Maps window. It is possible to create forms with separate email addresses in multiple locations too. Along with the regular fields like name, email address, text areas, Modal Contact Form comes with reCAPTCHA to stop spam messages. You can add new fields by using the hooks and actions. No list of contact form plugins will be complete without mentioning Contact Form 7. This tremendously popular plugin is capable of covering all your basic form creation needs without any problem. This plugin lets you create forms with custom fields. The form will allow the users to contact admins or send meeting requests to the admins or send a talk request over video or phone. Being a very simple contact form plugin, Contact Form Maker does its job perfectly. It lets the users create online forms without any programming knowledge at all. There are lots of different types of fields to choose from. As the name suggests, the main goal of this plugin is to help the users in creating contact forms and then sending the email addresses. The contact from data will also be saved in a database. By using this plugin, you will be able to add contact forms in your website and connect the forms to PayPal payment system. After submitting the form, the user will be redirected to PayPal for confirming the payment. Powered by contactus.com, this simple but powerful plugin will let you create beautiful contact forms in less than 5 minutes. It is also possible to integrate the forms with thirds party services like MailChimp, Sendy, Google Docs, SugarCRM etc. If you have a constant contact account, then this plugin is for you. It will allow you to submit the forms to constant contact lists directly. The plugin supports multiple forms too. This is an old but solid plugin for creating contact forms. Located inside a widget, the forms could be designed as floating, sliding, drop-down or sticky sections. There are some shortcodes too. Supporting multiple languages including Chinese, French, German, Russian, Spanish and Italian, Multi-language Responsive Contact Form is a simple solution for creating responsive contact forms. The input data could be validated by jQuery. ContactPress is a robust, AJAX powered form creator plugin. The completely responsive forms will save the user data in the database. It is possible to send emails to the contacted persons from the Admin Settings section. Contact Form Builder is provided with all the necessary elements for creating a fully-functional contact form. You don’t have to know HTML or CSS to create forms with this plugin. This is a very simple plugin to create contact forms in any widgetized area of your WordPress website. This plugin comes with useful features like CAPTCHA support, custom CSS and success message. The latest version of Form Builder has a completely new look. This highly popular plugin is capable of working with lots of web applications and service including PayPal, Stripe, Aweber, MailChimp, twilio, Campaign Monitor etc. Featuring a user-friendly design and a simple interface, Daisy is a very useful WordPress plugin. The popup modal form will not distract the users at all. You can choose from the six available themes. Powered by AJAX and based on jQuery, AJAX Contact Forms is a contact form plugin. It lets you create forms that will easily integrate with any page of your website. With this plugin, it is possible to design an attractive invitation form for your website. Based on jQuery and thickbox, the plugin supports 18 email providers including Gmail, Yahoo, Hotmail, AOL etc. Creative Feedback Form is a very interesting way of collecting user feedback from the visitors of your website. The plugin comes with four different color schemes, anti-spam system and full localization support. Developed by iThemes, this is a solid contact form plugin. This simple plugin comes with everything for creating basic contact forms. The submitted data will be sent to the admin email address. There is a reCAPTCHA validator too. 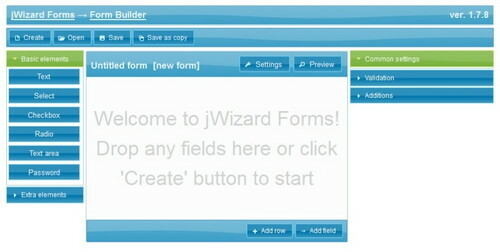 The sleek, intuitive drag and drop interface of jWizard Forms will let you create beautiful online forms easily. The shortcode supported plugin comes with multiple layout, custom fields and data exporting features. If you want to improve the conversion rate of your website, this plugin could be an excellent choice for you. 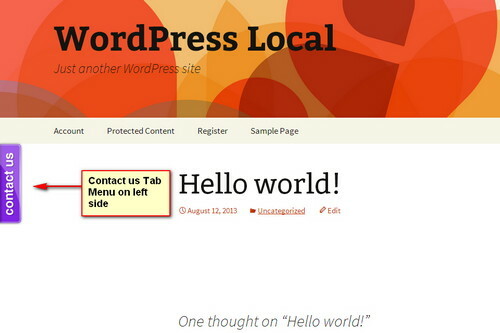 The color of the tab could be customized by using the default color picking tool of WordPress. This handy WooCommerce form plugin lets the visitor send emails directly from the products page. You can also place social media links, physical address and contact numbers in the tab. Actually your detailed explanation recollect my those days when I did coding by html or css. But thanks to invention of technology that makes our life more easier one. You mentions bundle of contact form plugins which work really wonderful.I would thank you for this amazing info.